The Cambridge Reinaert Fragments (Culemann Fragments) Edited with an Introduction & Bibliography. A very nice bright copy. Clean and tight. 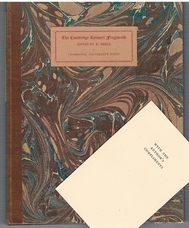 Large 8vo., cloth-backed marbled boards, title laid down to spine and upper board. 51pp., 3 illustrations, untrimmed. Limited to 300 copies, author's blank compliments slip loosely inside. 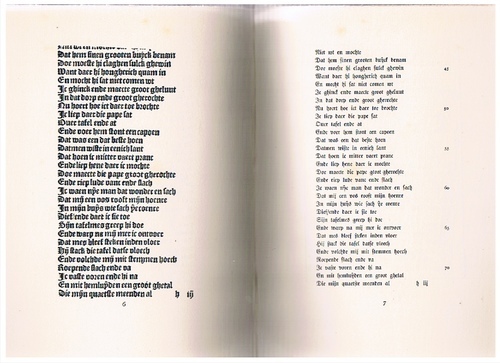 ; The Reinaert Fragments are a collection of seven pages of a Middle Dutch poem attributed to the fifteenth-century Flemish writer Hinrek van Alckmer, and printed in Antwerp in about 1487. 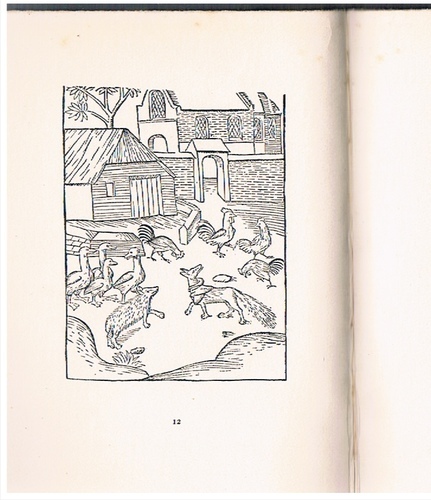 With three woodcut illustrations. Karl Breul's detailed introduction sketches the history and development of the story of Reynard the Fox, from its origins in oral tradition and the medieval beast epic to Goethe's famous 'Reinecke Fuchs', indicating the place of the Reinaert poem amongst the various verse and prose versions. The book also includes a corrected version of the van Alckmer fragments, and examines their relationship with the Reinaert II and Reinke texts.